By Muenire Koeseoglu, Young Scientists Summer Program alumnus. 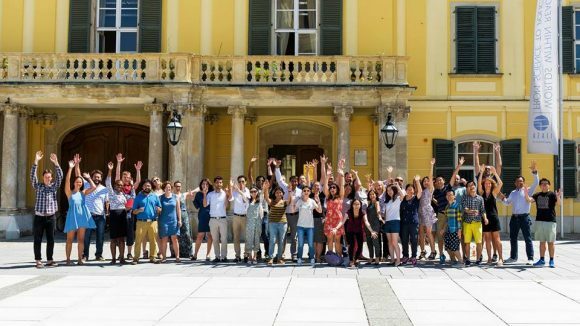 In the summer of 2016 I traveled to Austria to take part in the IIASA Young Scientists Summer Program (YSSP). Being part of this intense experience, not only in terms of scientific research but also in a social and networking sense, was very rewarding. I learnt a lot, travelled a bit, and made many new international friends and valuable connections for life. However, if you are thinking about applying to the YSSP, some prior preparation and an open mind are essential to absorb what the environment offers. My YSSP project examined water pollution issues in Scotland, looking into a trading framework that would help address diffuse pollution. My advice to any potential YSSPer working on applied topics like myself is to identify their research question in broad terms with room for possible change. Understand the policy landscape around the issue to establish the policy relevance, and possible partners in the field who might be willing collaborate as a part of their preparation before arriving to IIASA. Establishing connections might be time-consuming, and people might not necessarily be interested in taking the time to help a postgrad student or in sharing information or data which might be confidential, yet even a few successful attempts will be useful in terms of getting site-specific information, data, and feedback. It will also save you time during the YSSP and potentially help clarify the real-life problems beyond the literature or directives. For instance, my initial proposal for the YSSP was to design a trading scheme based on water allowances among different water users at catchment level. However, after relevant consultations, I realized that designing a scheme that would enable trading permits to pollute rather to take water would be more applicable to Britain and especially Scotland, where diffuse pollution impacts affects many more catchments than do water shortages. From my perspective there were many things that made my YSSP a special experience but the most important factor has been the people, my YSSP peers, the IIASA Advanced Systems Analysis Program (ASA) where I was based, and especially my supervisors. As a PhD student in the field of applied land economics, working with mathematicians (as my supervisors and most of my ASA colleagues were), was a very formative experience, as the world of mathematicians is very different to my career so far. Crucially, my supervisors taught me to deal with uncertainty not only in the data but also in the research structure and short-notice changes, and to realise the wider applications and possible extensions of the project rather than being trapped in details. After all, you can return to the details once you have made progress in your overall aims. Moreover, mathematicians are fast thinkers with a “can-do” attitude: a perfect combination for finding a solution in mathematical terms to the next practical problem you face. I believe I have benefited a lot from this trans-disciplinary cooperation and look forward to working with people from different disciplines again, to learn from their perspectives and expertise.